To coincide with the re-branding of the Linens Unlimited identity, we’ve completely redesigned the Linens Unlimited website to compliment the colour scheme and style of the re-brand. We’ve also rebuilt the wholesale store based on a Drupal platform, utilising a customised shopping cart, integrated email campaign system and customisable catalogue creator. 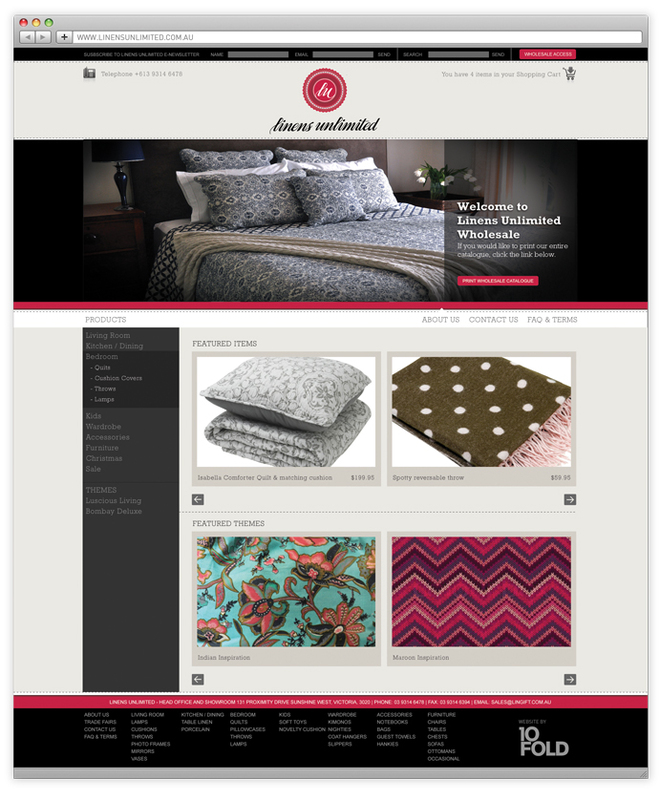 We’ve recently re-branded Melbourne based home wares importer / exporter Linens Unlimited. The idea behind the identity was to establish a stylish yet recognisable symbol to modernise the company’s image while maintaining a traditional feel based on their products and customer base.